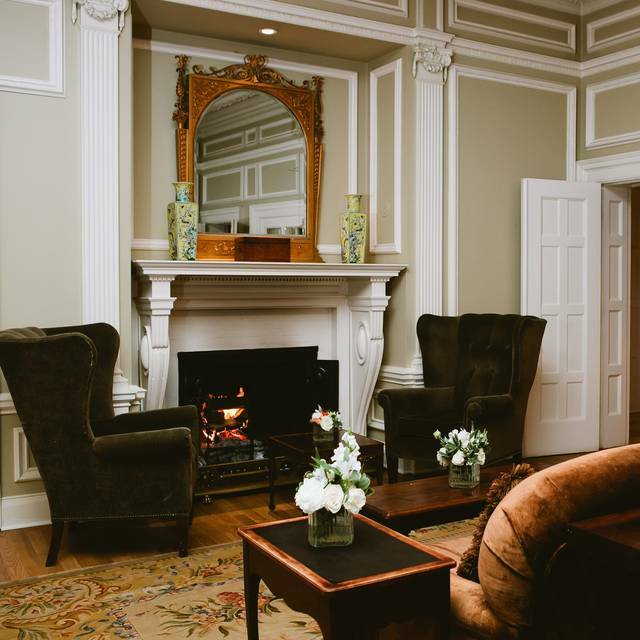 You must make reservations at least 5 minutes in advance of the time at Langdon Hall Country House Hotel & Spa. We invite guests to partake in our complimentary valet parking. Complimentary self parking is also available. No convenient public transit service is available. Private car or taxi services is recommended. Brad Paddock performs in the Piano Lounge on Saturday evenings from 7:00-10:00p.m. and during Sunday Brunch from 12noon-3:00p.m. Tim Louis performs in the Piano Lounge on Friday evenings from 7:00-10:00p.m. Langdon Hall's event specialists are available to assist with on-site events from private breakfasts to weddings, engagement picnics to late night room service. Please call upon our team to assist in planning your special celebration. 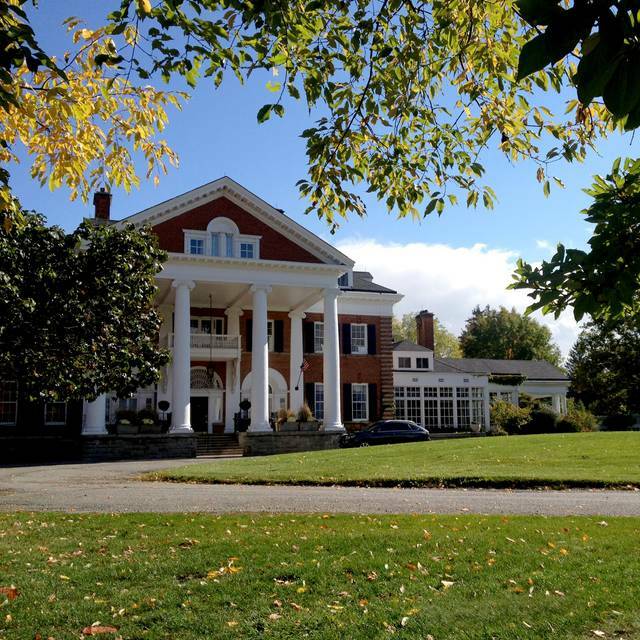 Sales & Catering can be reached at sales@langdonhall.ca or 519-624-3203. Special notes: Please call the restaurant directly to reserve for Afternoon Tea. Also, please indicate at time of booking if you are interested in experiencing Chef's Tasting Menu. An ideal destination to dine with friends, celebrate special milestones, or spoil yourself and your favourite dining companion. The formal dining room and casual bar area - Wilks' Bar - are found on a 75 acre gardened estate within an elegant turn of the century country house. Serving breakfast, lunch, Sunday brunch, afternoon tea, and dinner. 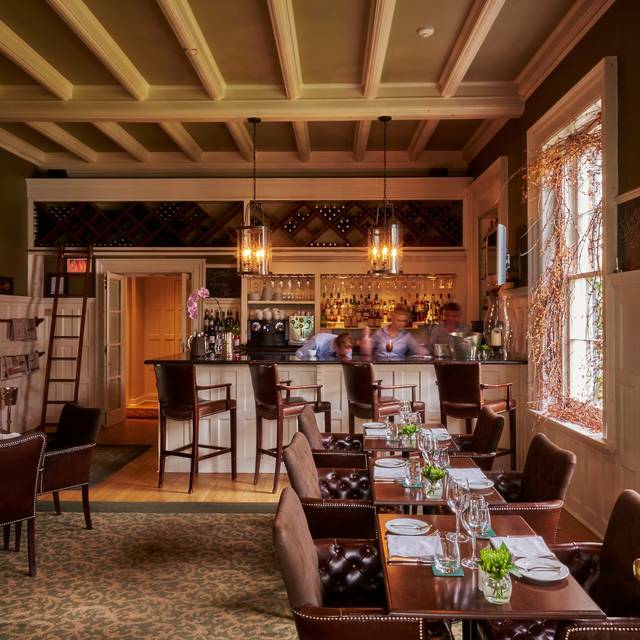 Dishes are created with purpose, embraced with a story behind each product along with a glimpse at the terroir of Langdon Hall. 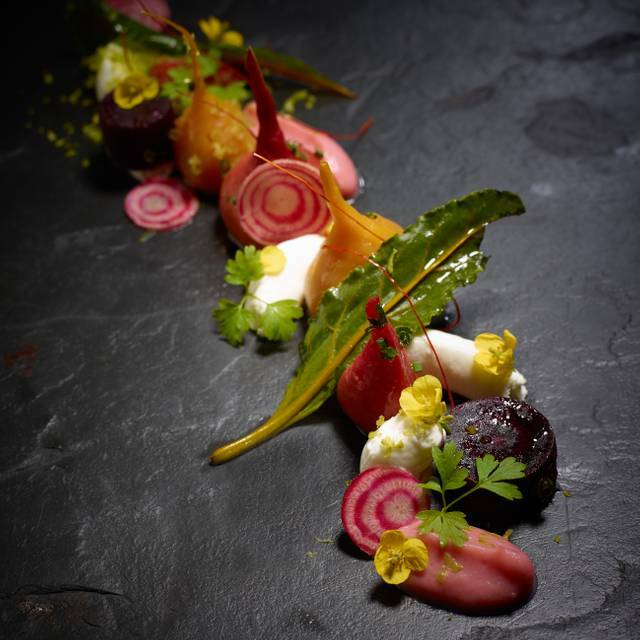 As the seasons change, the menu changes to reflect the reaps of the harvest. For this reason the menu items change on a regular basis. 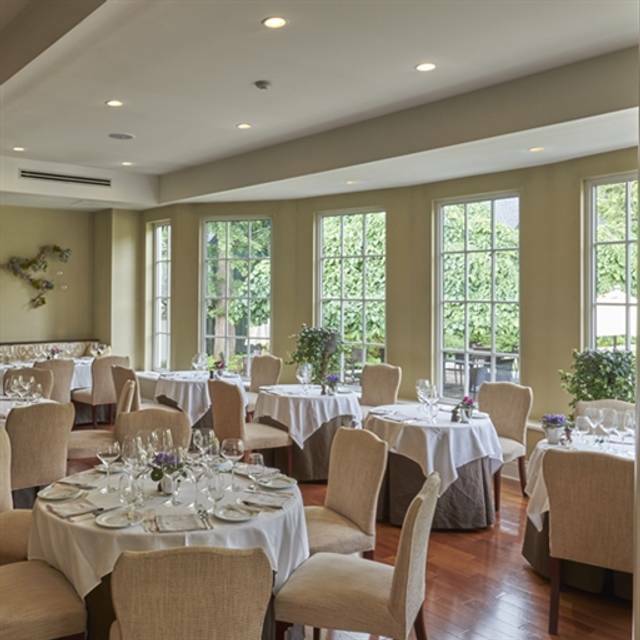 The dining room at Langdon Hall has been awarded the coveted Five Diamond Award from AAA/CAA for twelve consecutive years. Lovely atmosphere, attentive staff, excellent food. Limited menu however the items we ordered were exceptional therefore we did not mind at all. Superb food and service with a great ambiance. I was there with my daughter and her significant other and everything was great from the appetizer right through to dessert. It was an excellent dining experience and I highly recommend it for your special occasion. Amazing experience with a mind blowing tasting menu! The staff were efficient and very friendly. The flavours in the Wild Salmon Appetizer were amazing. I would definitely recommend Langdon Hall for a great dining experience. Beautiful restaurant and ambiance! My type of scenery. Food was good but could have been better. The food is outstanding! They forgot a drink i had ordered. Other than that it was a wonderful experience! I would go there again! An amazing experience even for just one evening. Must go back again! Incredible experience at the spa and restaurant. Eloquent rooms. Great service all around. #5 on best in canada, but easily top of our global list we keep. We did the tasting menu with wine pairings. The food was more than exceptional, full of flavor, surprises and somolier created perfect parings, that added to the experience with each bite and sip. If you are anywhere within 100km of this place, make the effort to go. You won’t be dissapointed. Great experience with culinary and service. Such a great place, wonderful service, amazing food. Pricy but so worth it for a special occasion. $45 is the corkage fee - if you have that very special bottle of wine. On whole I would recommend the venue for anyone looking for a high-end meal and estate experience. We had a fantastic celebration meal here on Dec 21. The service was impeccable. The food was perfect and wonderful. We ate A La Carte but the tasting menu looked amazing as well. We will most certainly return again. Wonderful celebration for our anniversary and all the staff members gave us congratulations. Lovely. Beautiful ambiance and food was fantastic. Enjoyed every bite! We visited Langdon Hall for our work Christmas lunch. Cocktails were good. We ordered a featured bottle of Amarone which was lovely. Appetizers were good, though in my crab was a large piece of cartilage. I would have expected it to be removed. Mains were great, most of us had the lamb. I would have expected the plate and food temperature to be hot, but it wasn't. Overall, good first experience at Langdon Hall for the most part. Hope to return in the future. Lived up to expectations and reviews. A superb lunch. My Mom and I enjoyed an early Christmas lunch. Everything was perfect-from the greeting to the end. The food was a wonderful combination of artistic presentation, flavours and textures. Thank you to the Chef and all staff. The food was exquisite. The venue was beautiful. I will definitely return! As a five diamond award winner I expected a little bit more attention to detail than what was displayed. Although all the food was delicious, for the price point I wouldn’t put it anywhere near the top of my list. Everyone was lovely, however, most seemed a bit overwhelmed, whether due to being understaffed or inexperienced. I will say that the food on this trip was an improvement on our last visit a number of years ago. Every course on the tasting menu was delightful, with the venison dish being a highlight. 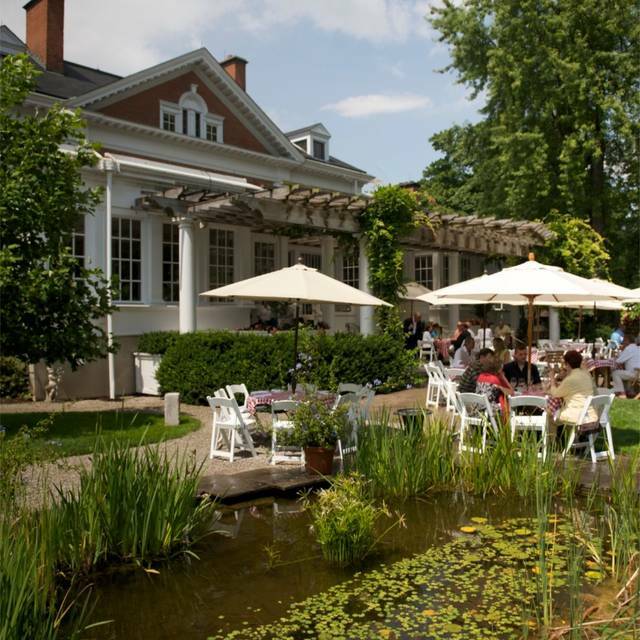 Langdon Hall is a great place to get away from the city and catch your breath. We also took part in Afternoon Tea. Overall it was pretty good, with a tea selection that is out of this world! A nice getaway for a romantic interlude! Great service - beginning with arrival to departure. All very attentive. Tasting menu had some great flavours - squash soup, cod in pernod, venison, etc - seasonal, so check out the latest menu. Sommelier very knowledgeable. Great way to spend an evening ! VERY expensive for brunch ($72.00 pp plus gratuity, not including drinks or coffee) Our reservation for lunch was at 1245. We assumed the main dining room was where we were to go, gave our name for reservation, and were seated for brunch, and given a menu with set price. It was only on a difficult to find trip to the washroom that we noticed the other dining room where we had intended to be. By that time we had already received the first course (a very small serving of cauliflower veloute with a few florets and cheese crisps), so felt we had to stay put. Food was complex and delicious, but servings were small...the seafood chowder was minimal and cornbread covered in unpleasant amount of oil) ambience and service were good, except that credit cards from other table were switched with ours, creating confusion and uncertainty. Server dealt with it okay, but still felt nervous that we still might be charged for more. Wish we had been clear about brunch vs lunch, as we spent over $200 for 2 people, and felt gouged. Outstanding dining experience as usual. Excellent service and great ambience. Creative cuisine and menu that offers a variety of options. I highly recommend it for special occasions. This was our fourth trip to Langdon Hall for dinner and the night. It is a magical experience; that is the only way to describe it. The people are so kind and friendly but unpretentious. They make you feel welcome as if you are family. And the food...well...we always have the ten course tasting menu with wine pairings and we are always astounded by the imagination in the ingredients and presentation that make the dinner a multi-dimensional experience. 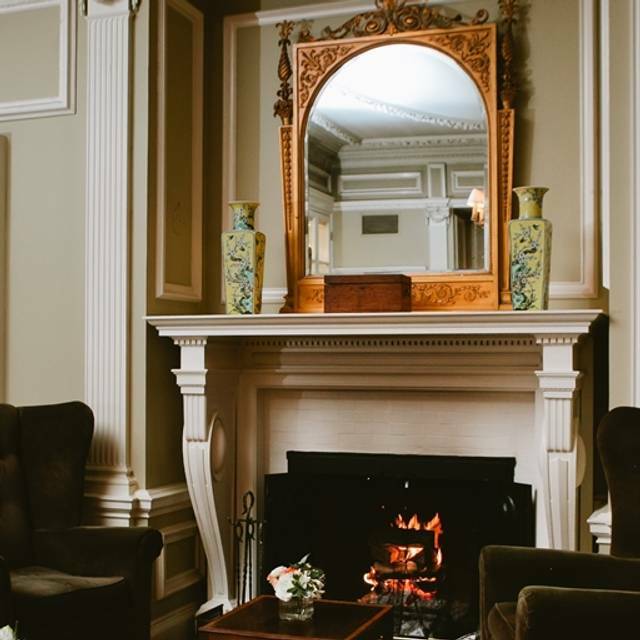 Our twelve hours at Langdon Hall was as relaxing and rejuvenating as a twelve day vacation. All I can say is "Bravo! It was worth every penny!" Amazing experience! Food,ambiance and services, all above expected. From the moment we walked in, we were treated like royalty! Highly recommend Langdon Hall!!! OMG. All the people who post negitive reviews are crazy. We were there for brunch to celebrate a birthday. The food and ambiance exceeded my expectations. I will be back! Absolutely amazing experience! Thank you for the memorable graduation celebration. It was the best! Exactly what I wanted and expected. Thank you Langdon Hall. One comment I would suggest is the kids' meals are too large, could be reduced in size as our children hardly ate their entree after the salad and $40 is a very expensive price to be a reduced price for children. Only thing I would improve. We were treated like gold on our second wedding anniversary. An entirely memorable experience. Thank you so much to Chef, the Maitre'D and the service staff for going above and beyond to help us commemorate such a special occasion. We were very impressed with the quality of the food, the presentation of the dishes and the attention to detail in the entire experience. Thank you so much team! I brought my daughter there for her birthday as she had never been and wanted to try it.We were greeted immediately upon arrival and our coats were looked after.We had a beautiful table by the window and someone was over within minutes asking if we wanted water.Not long after our drink order was taken followed not long after our selection for lunch.The food and service was excellent. We all ordered the tasting. The courses were delicious, beautifully presented and theatrically fun. The sun choke starter was particularly memorable as was the caviar. The veal was perfection. The service was attentive and gracious. If I had any criticisms they would be the pace and the desserts. Fortunately I had interesting table mates, although there was a fair amount of sighing and shifting in our seats over the FOUR hour dinner. Too long. While we all were impressed with the corn sorbet, whatever the flavouring in the chocolate paste was, it was far too shrill. I found it inedible and scrapped it onto the plate where it remained. Too bad. If this was Langdon's proprietary chocolate, why work so hard to disguise its flavour?